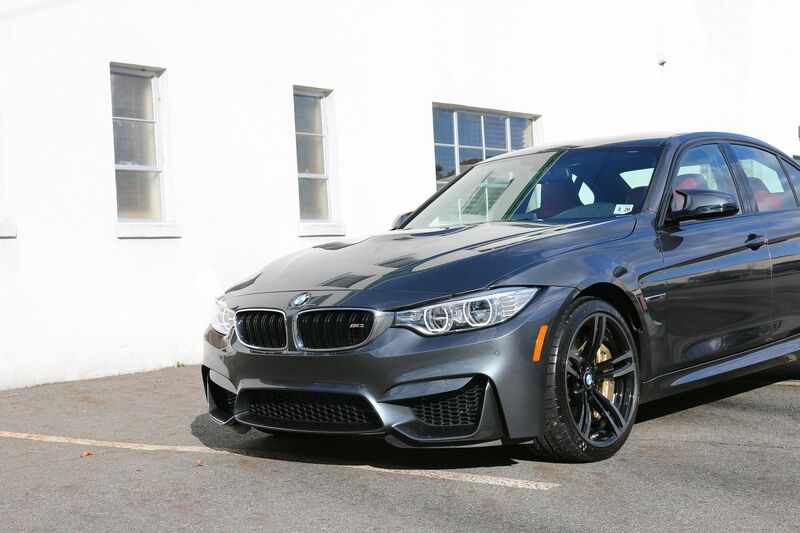 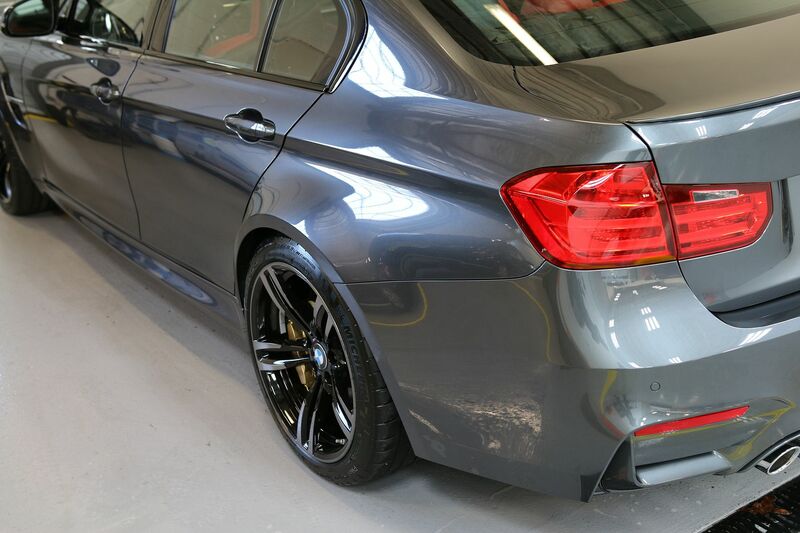 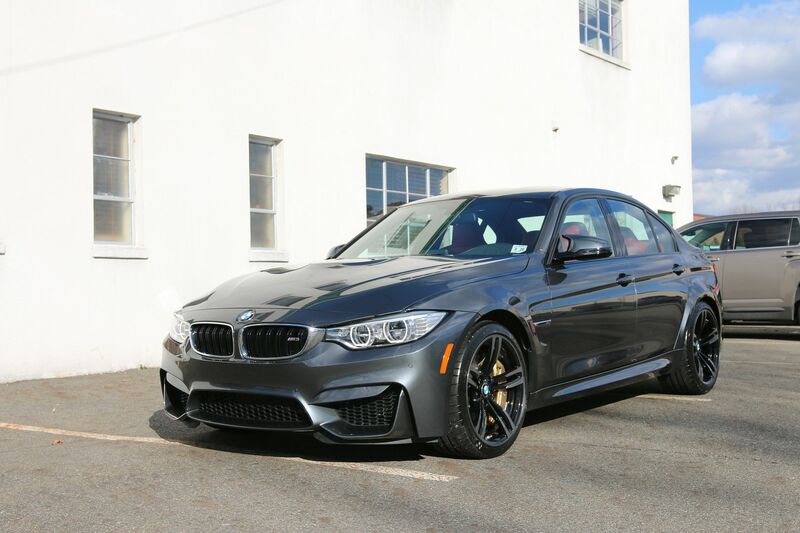 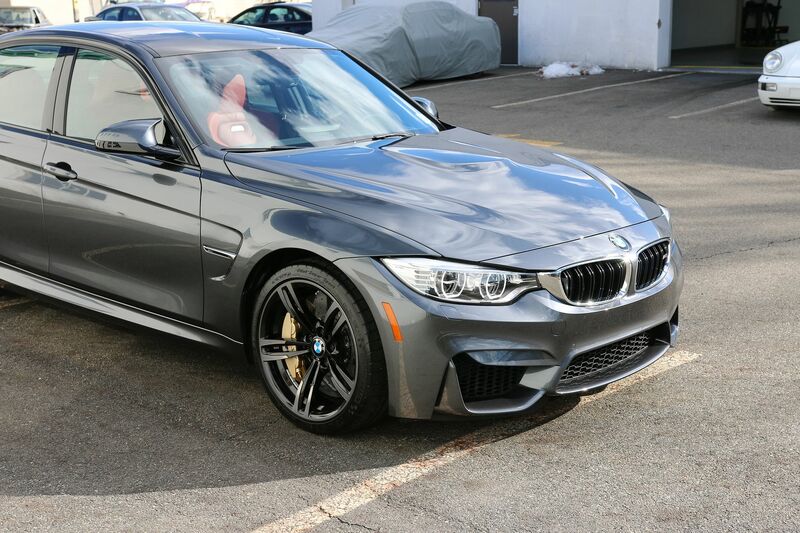 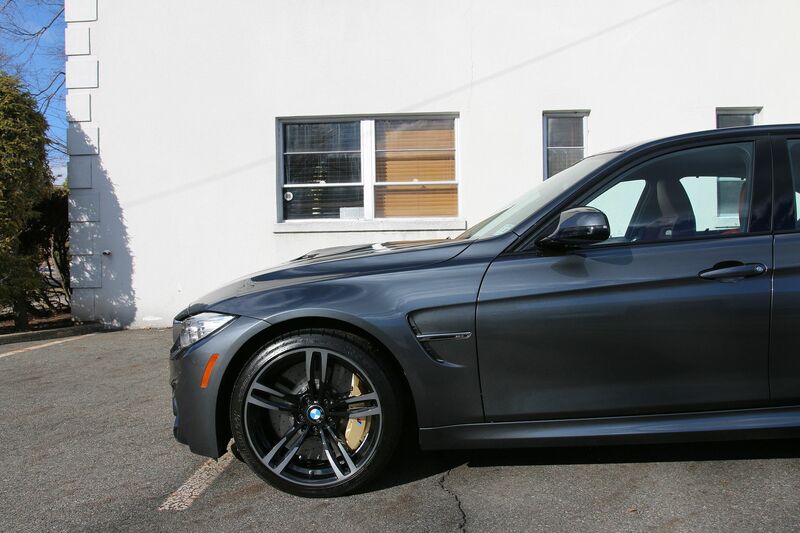 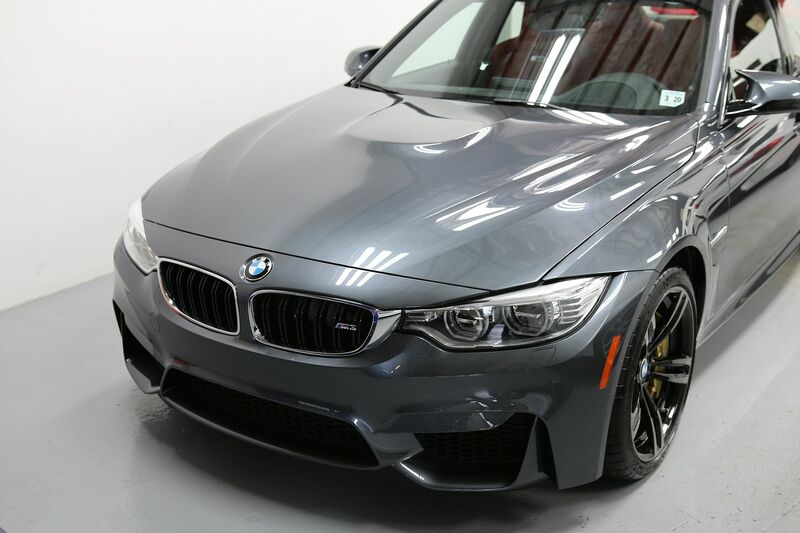 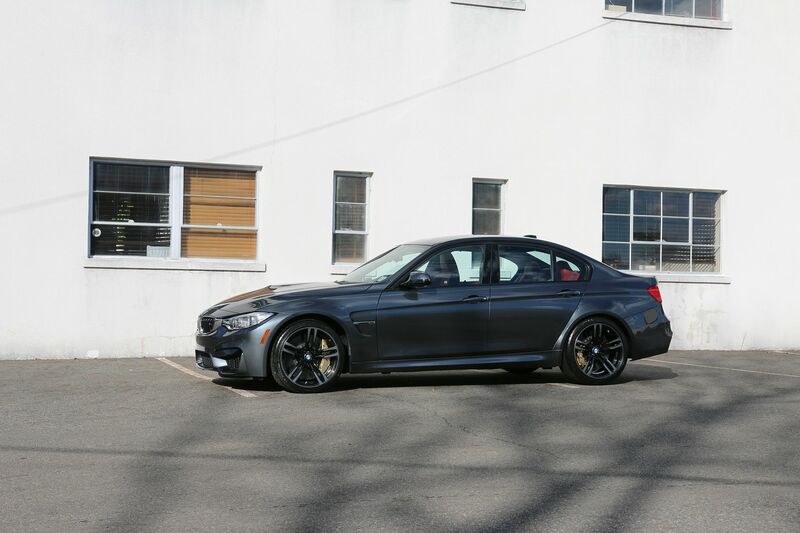 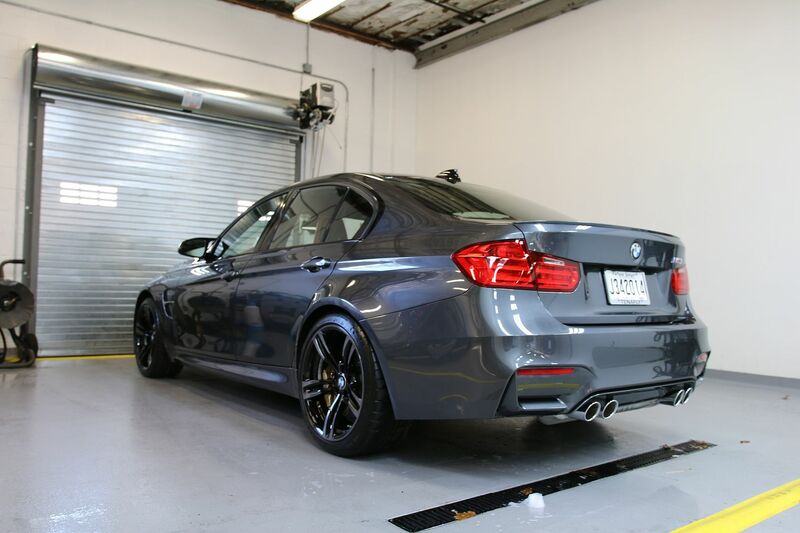 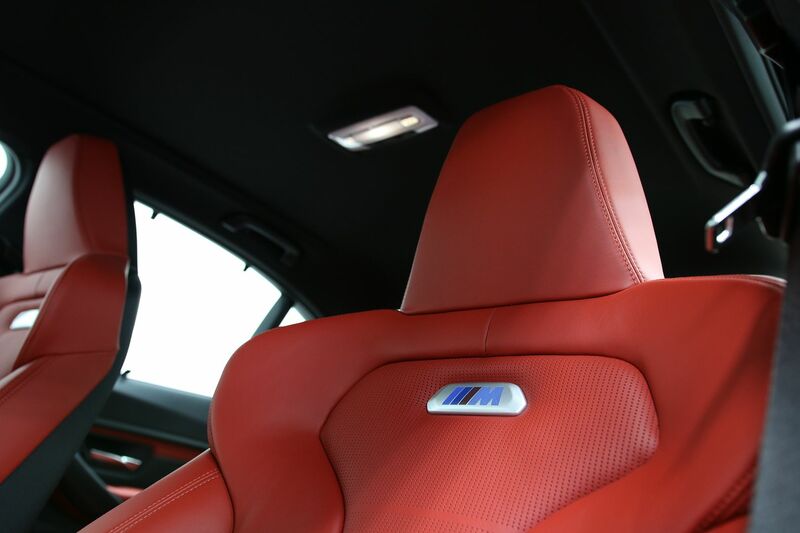 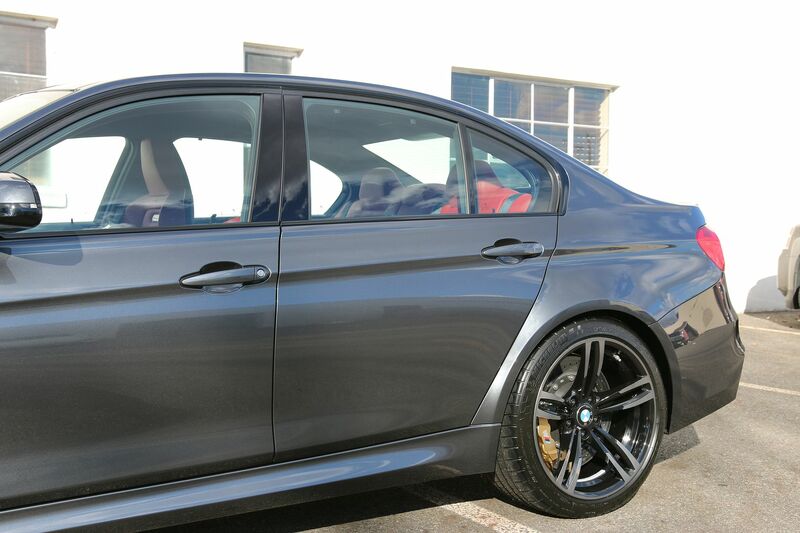 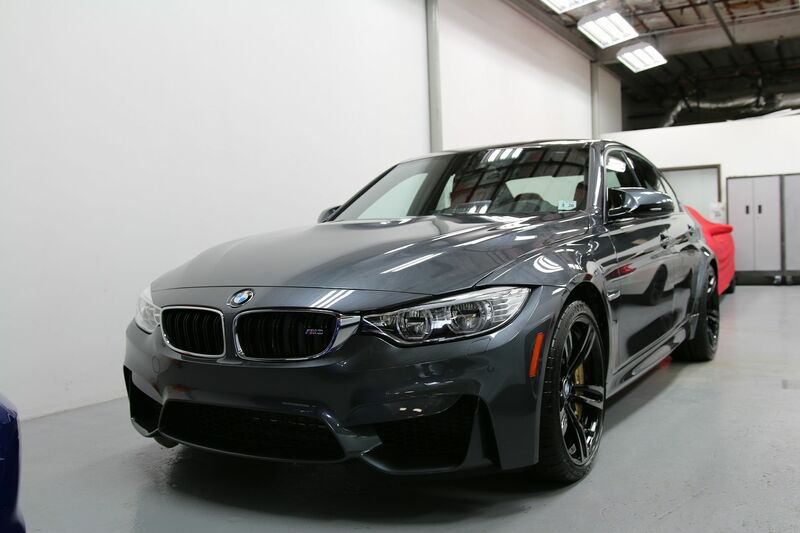 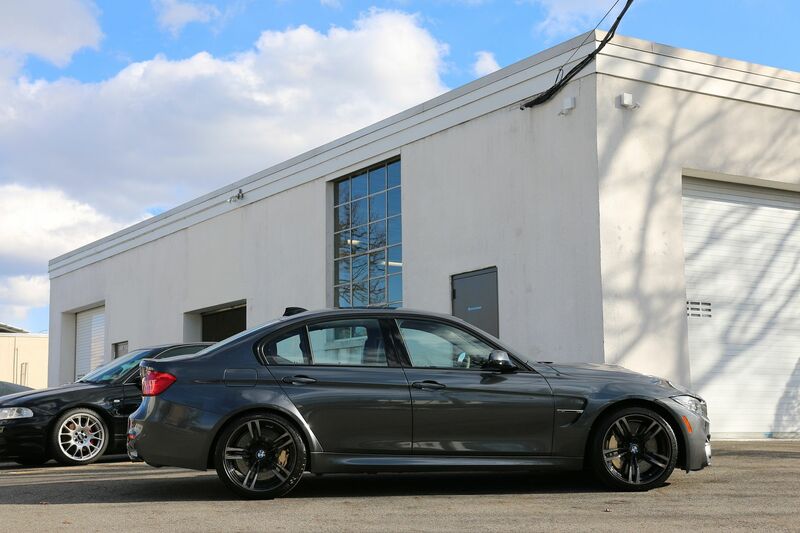 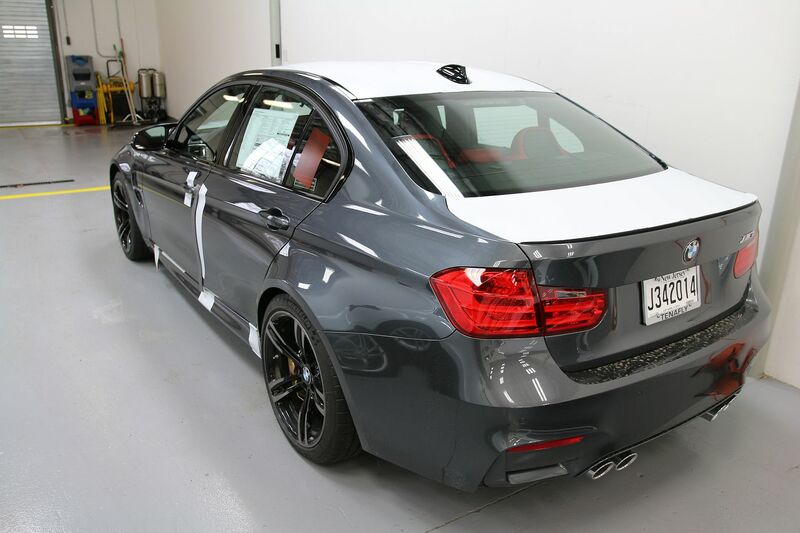 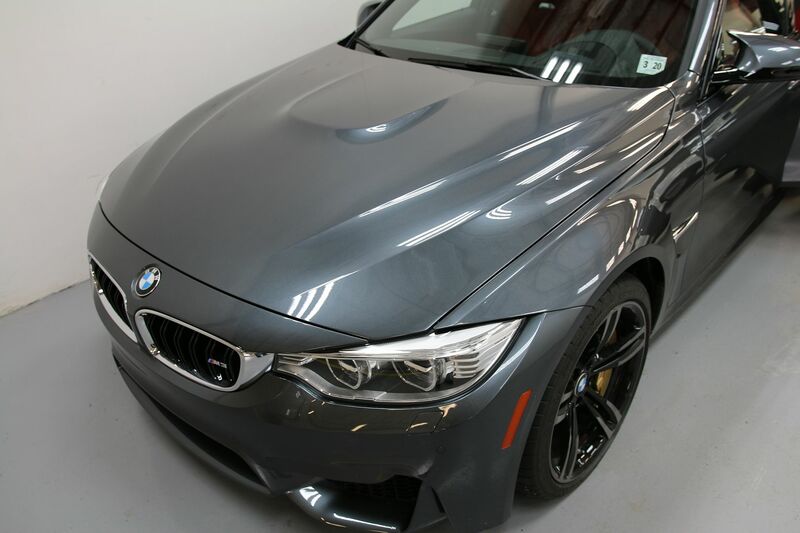 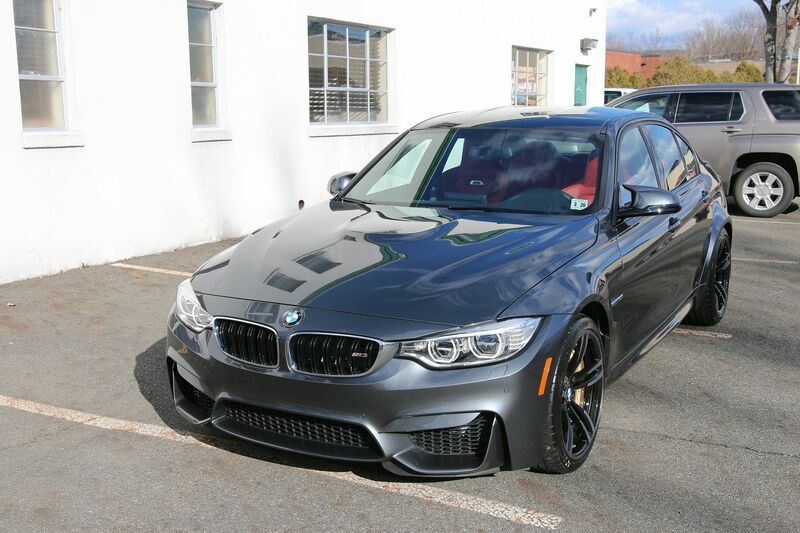 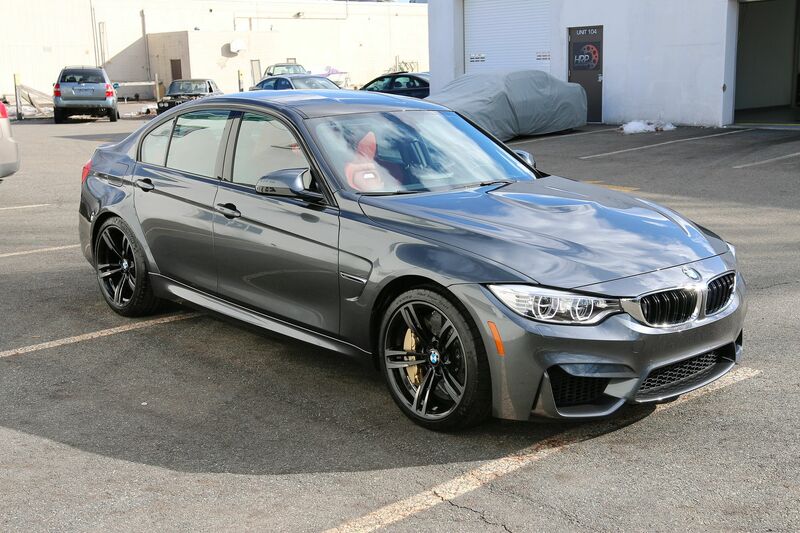 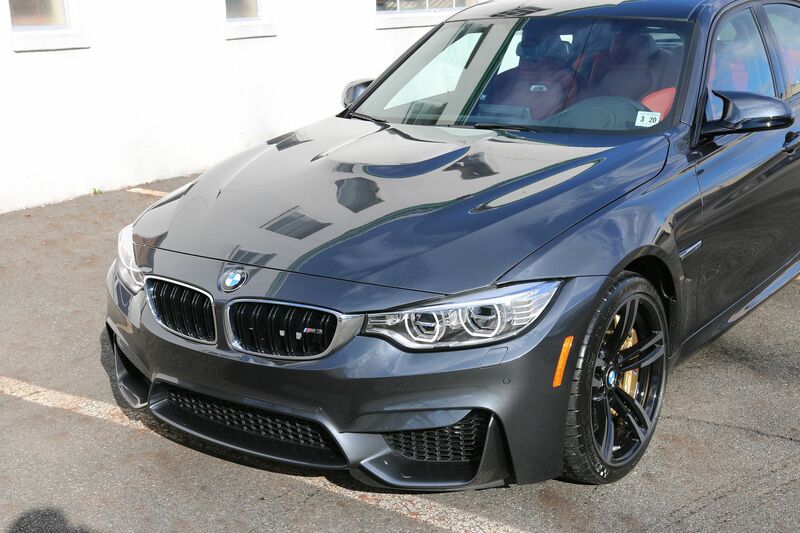 We received this brand new 2015 BMW M3 in the best possible way - directly from the customer immediately after it was delivered. 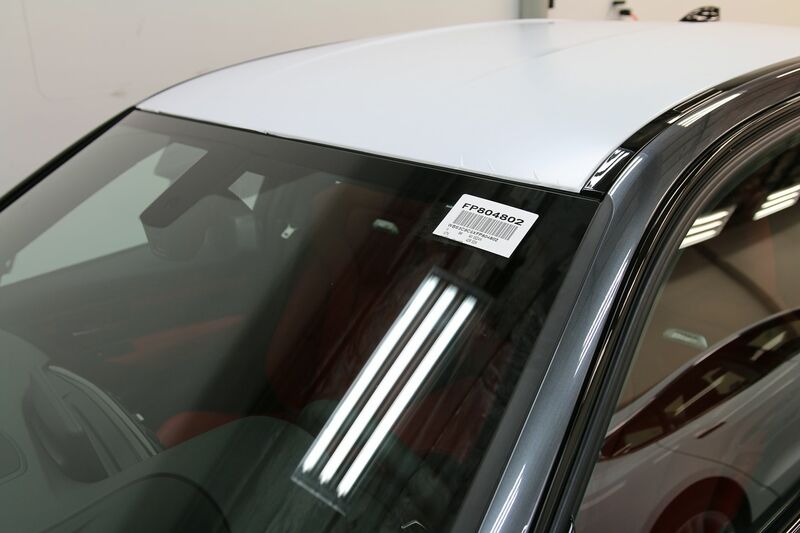 Even better the dealer did not touch anything - all the wrapper was still on the car! 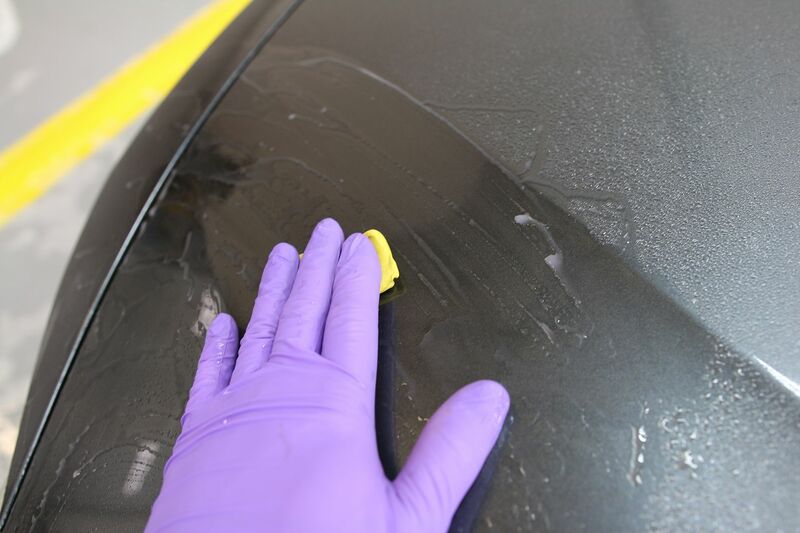 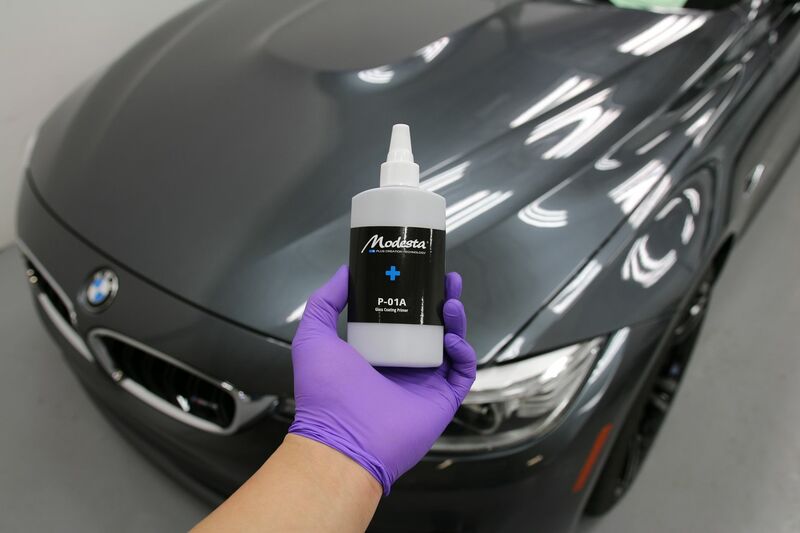 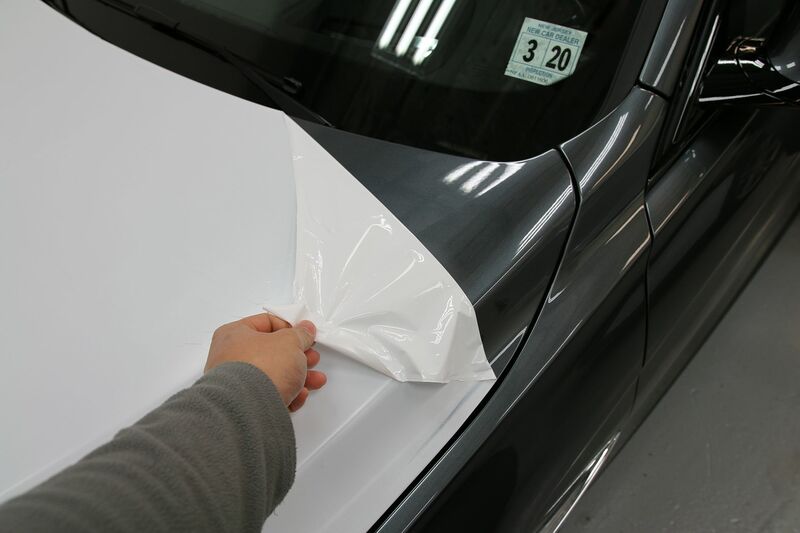 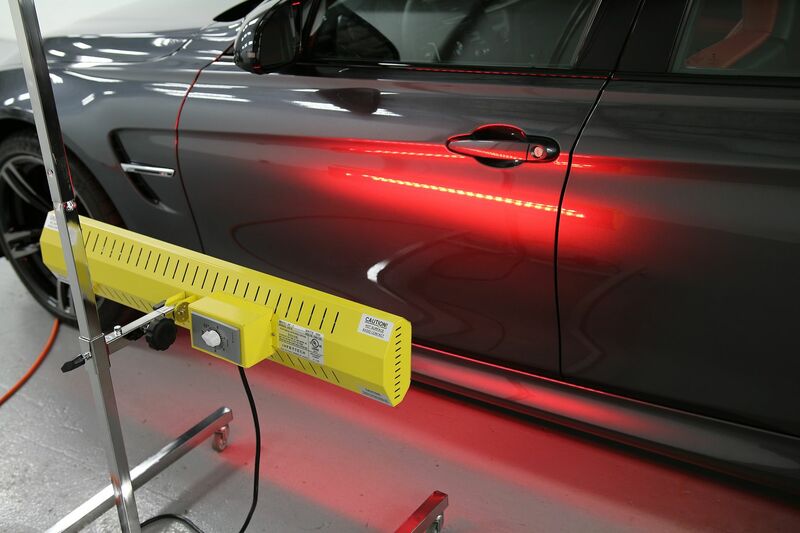 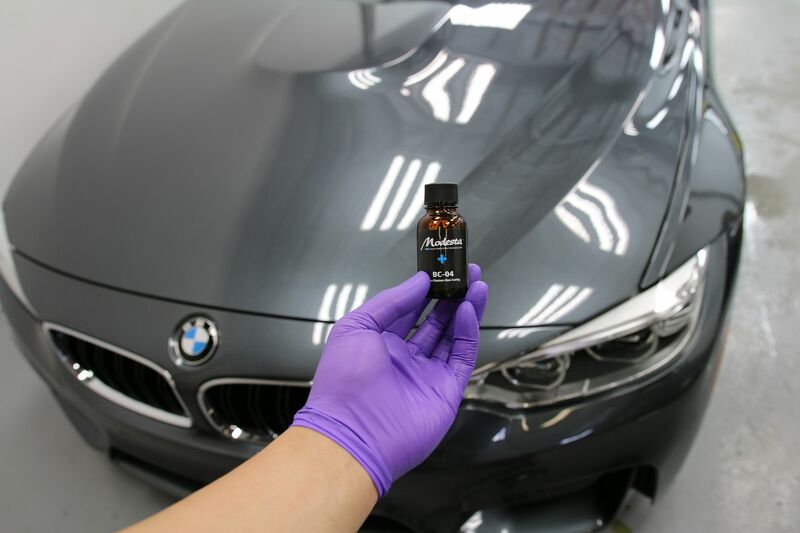 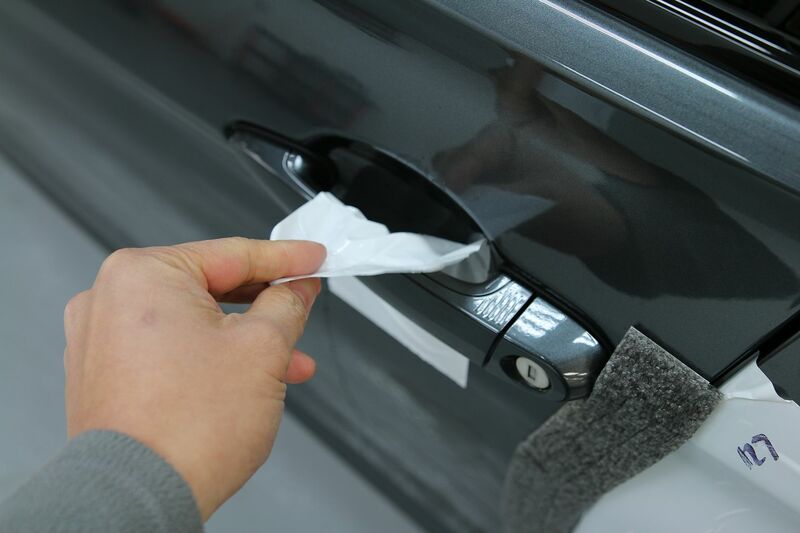 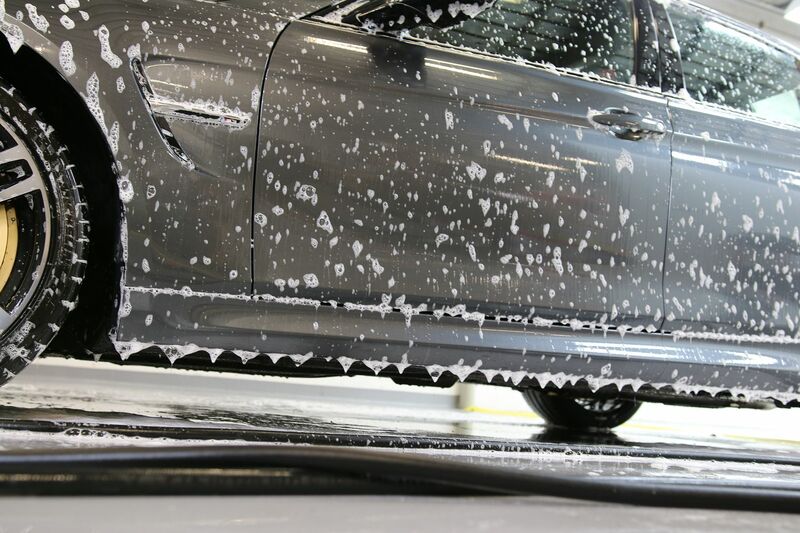 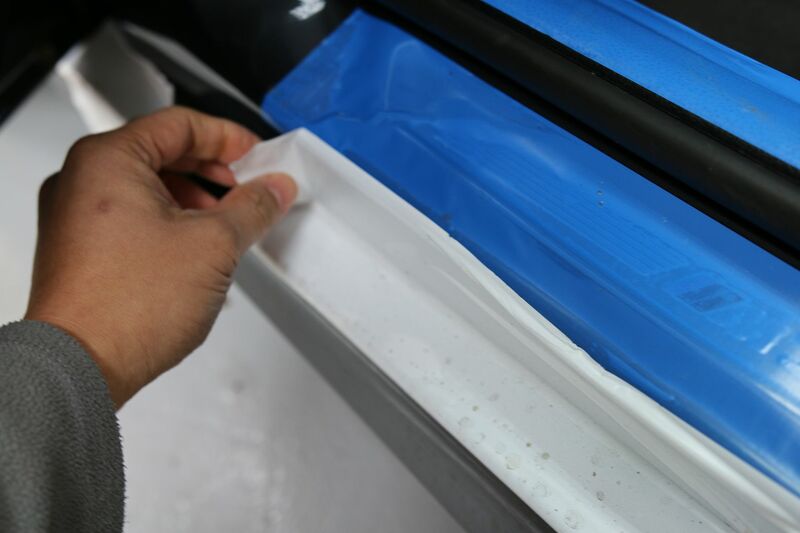 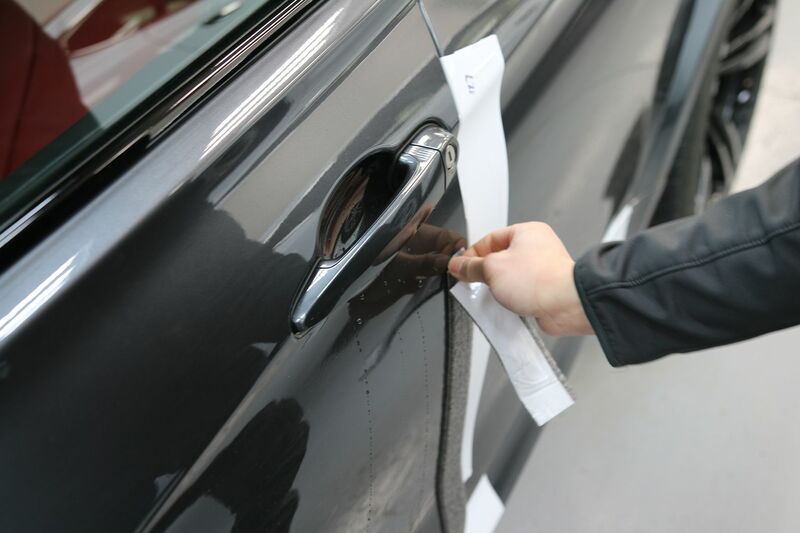 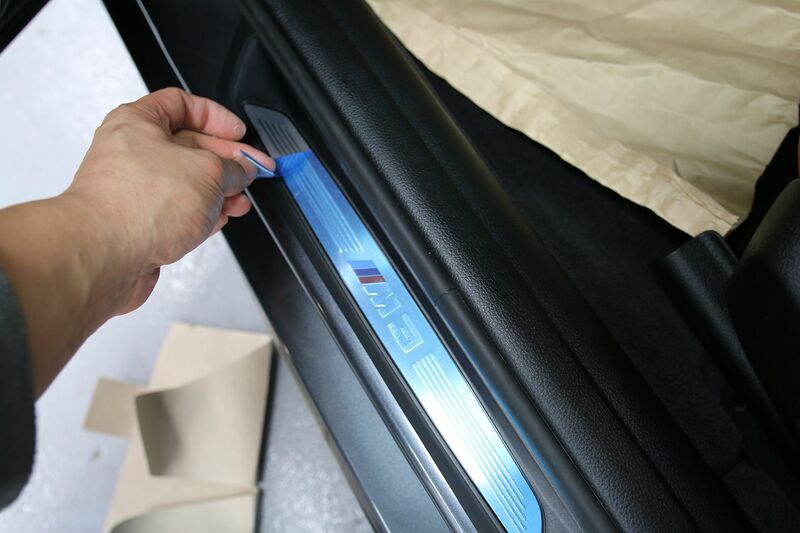 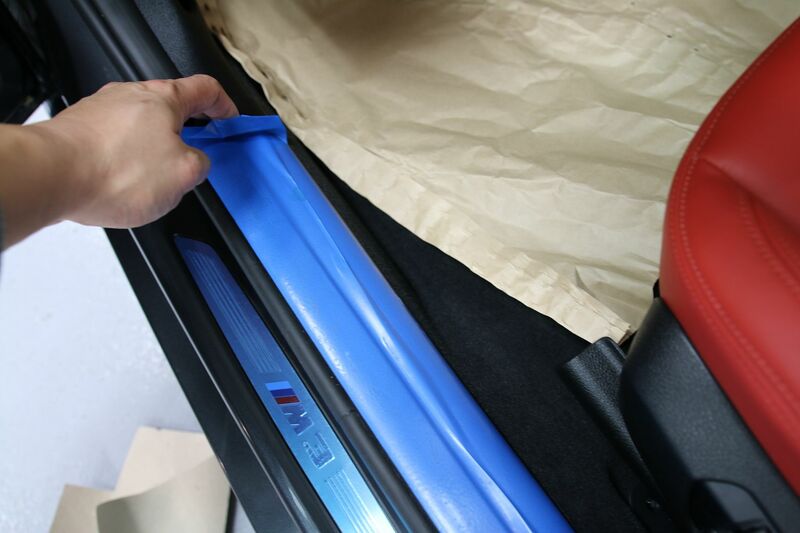 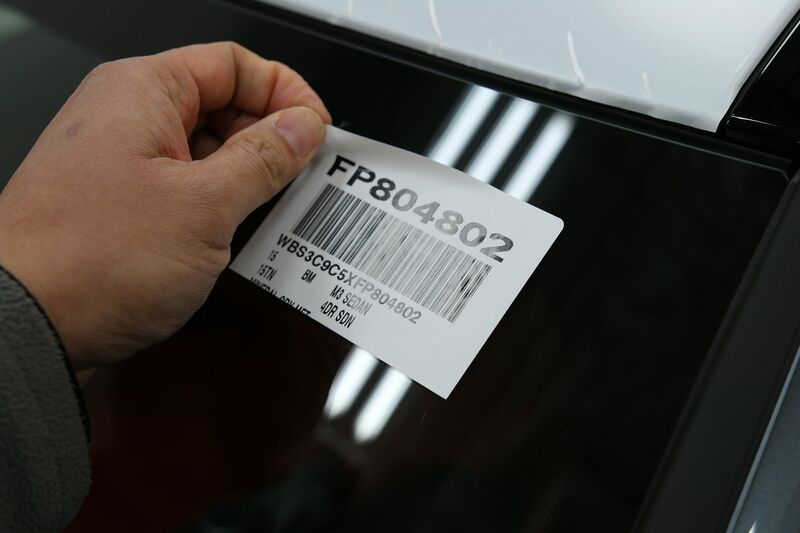 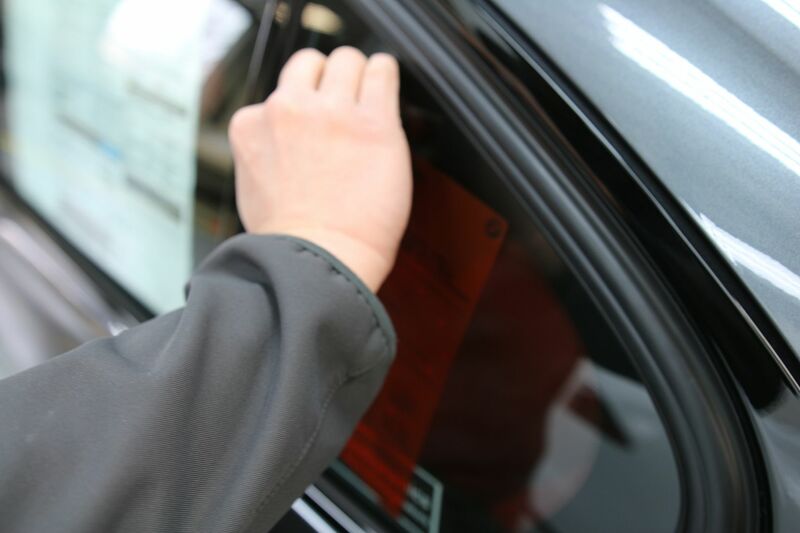 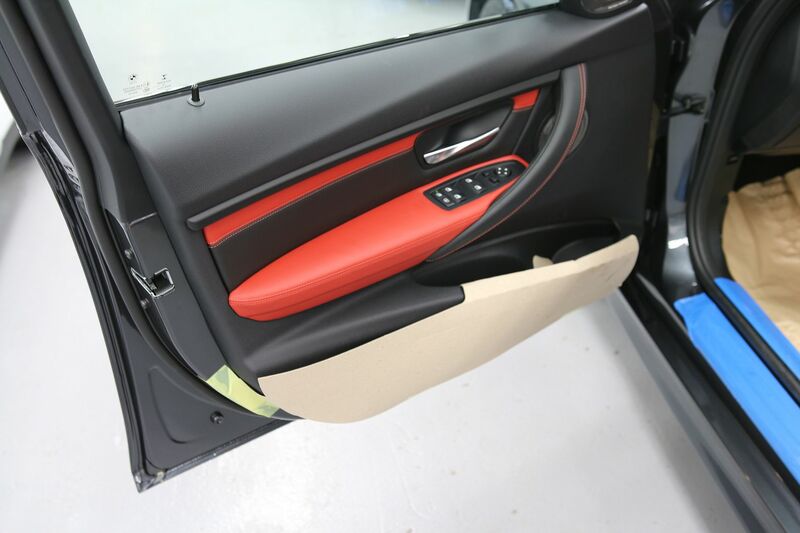 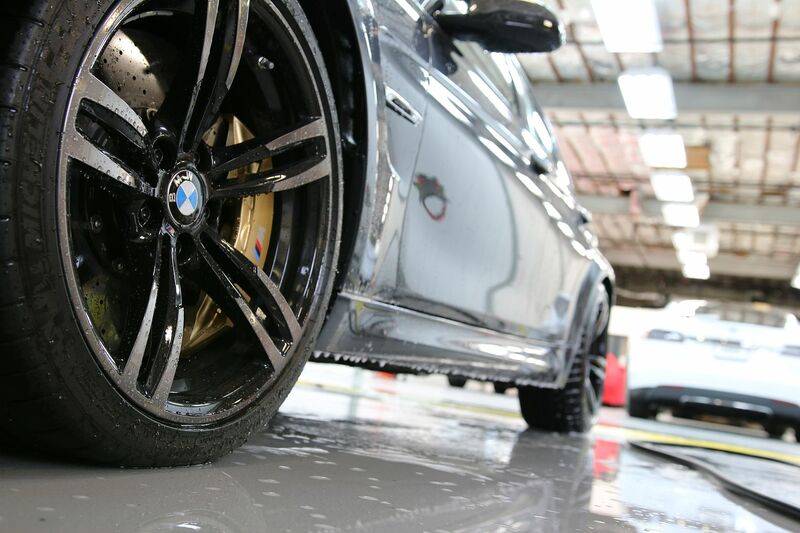 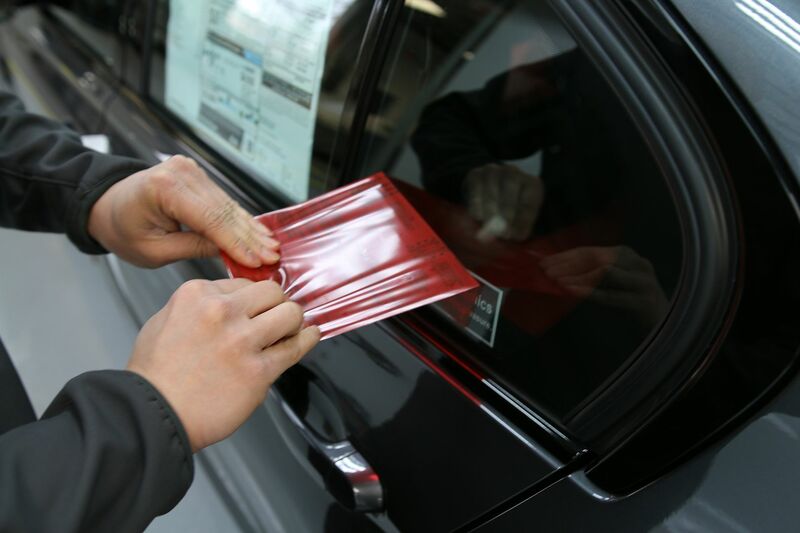 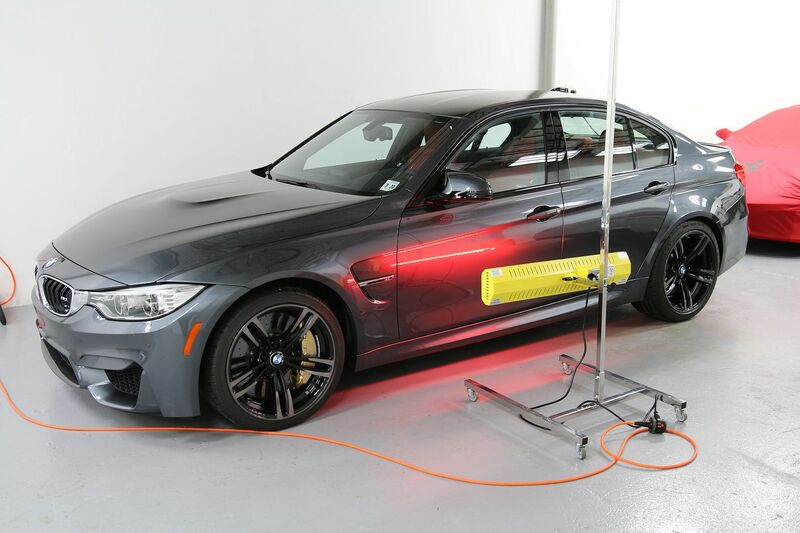 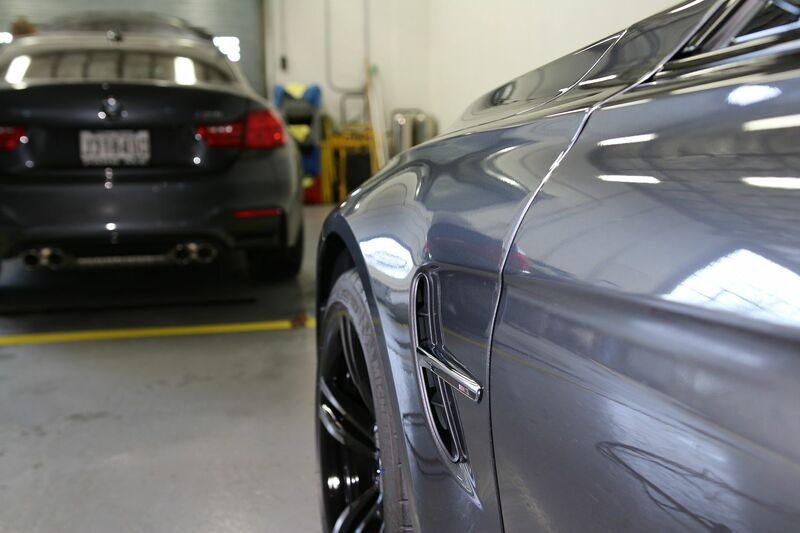 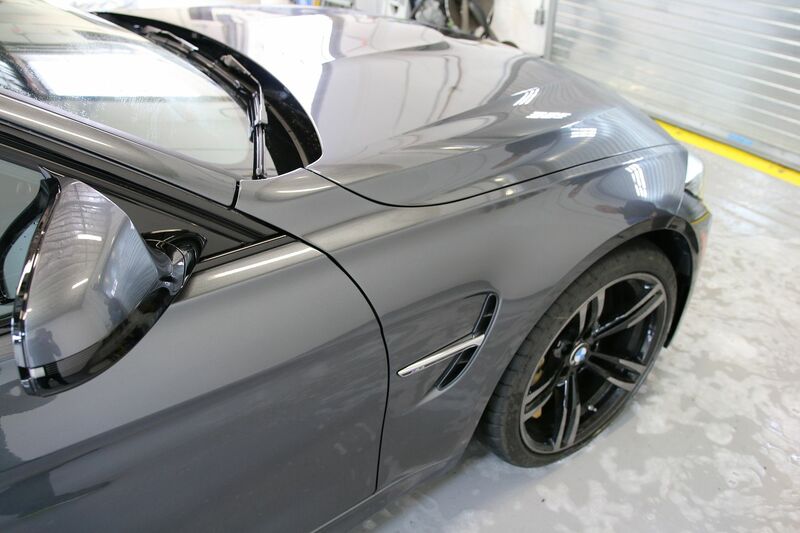 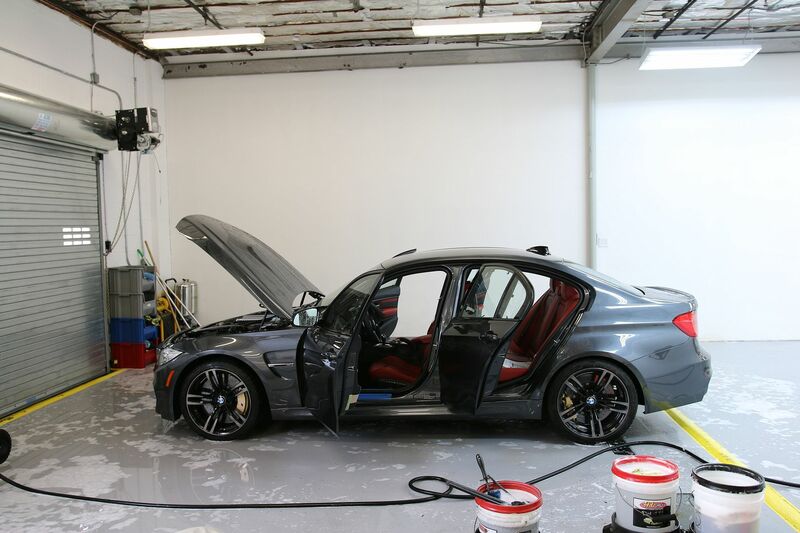 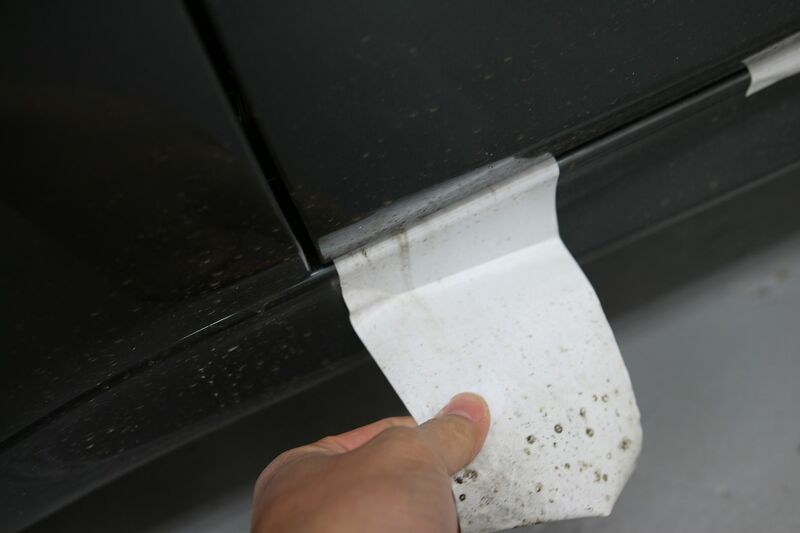 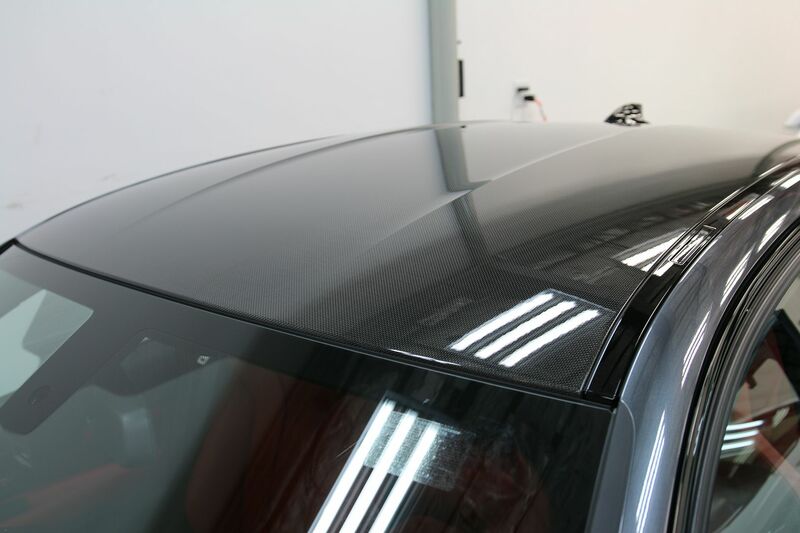 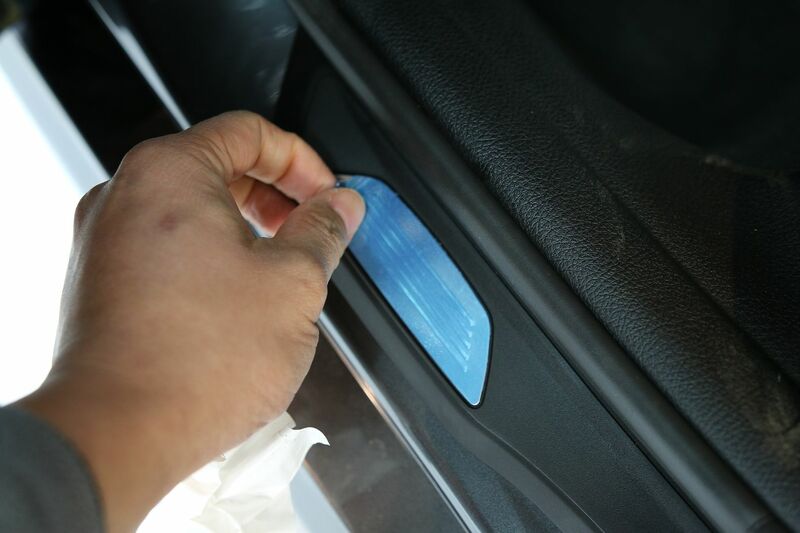 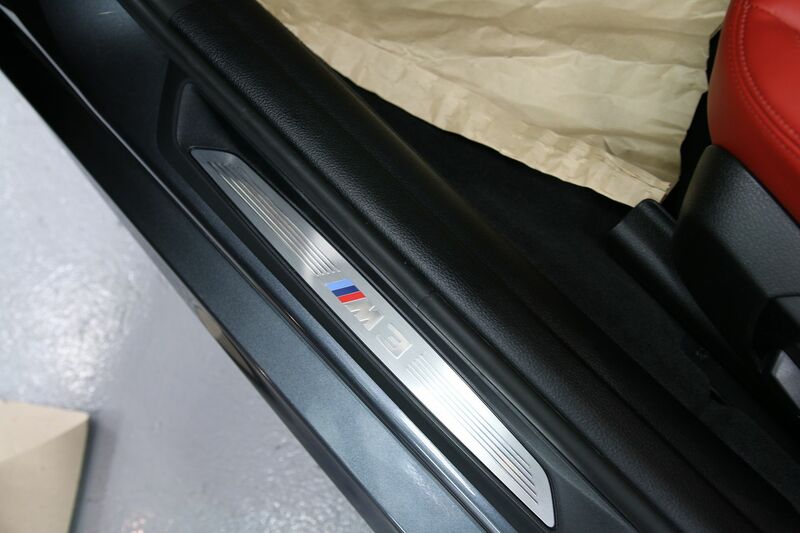 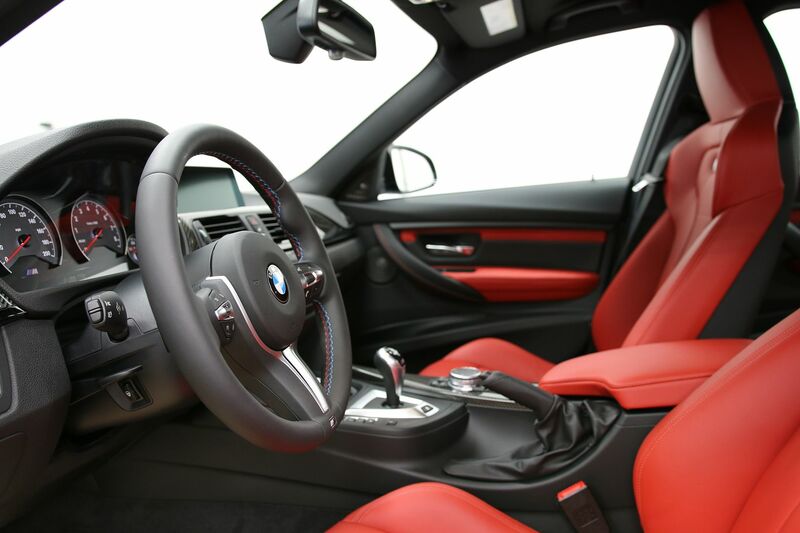 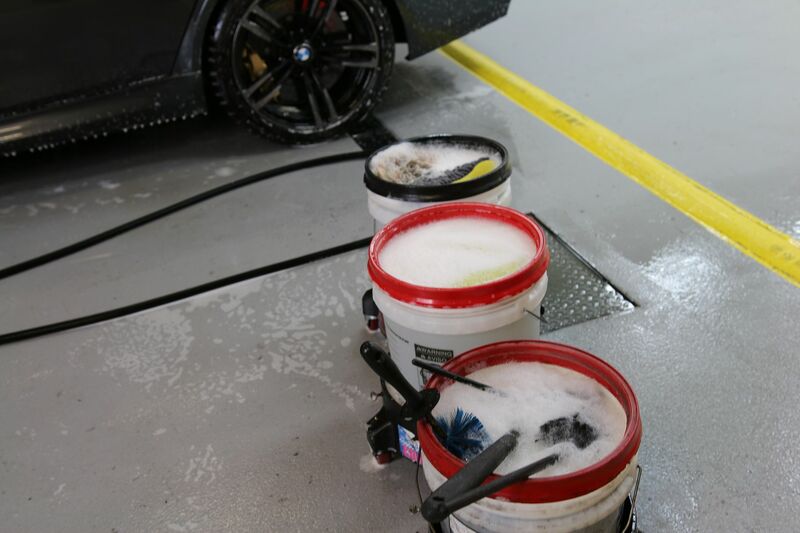 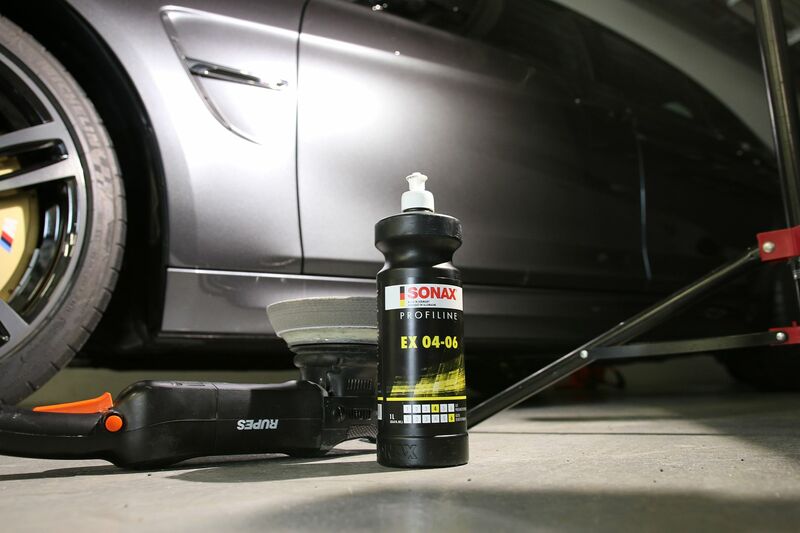 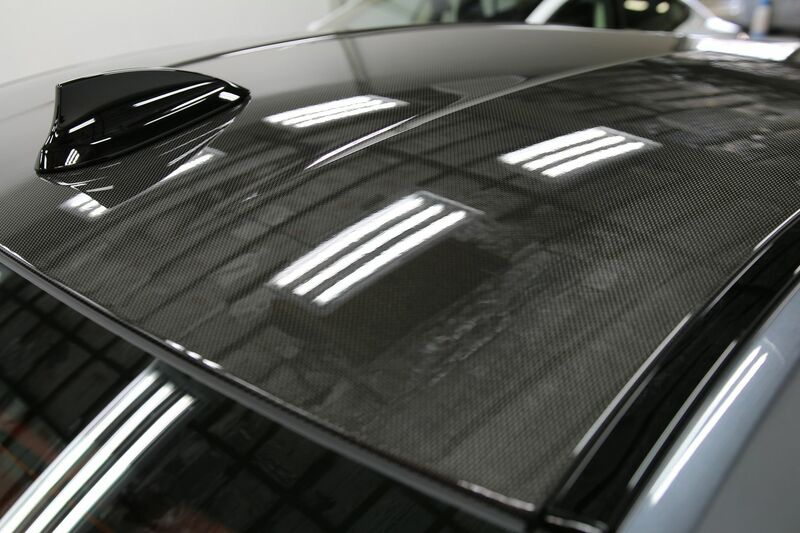 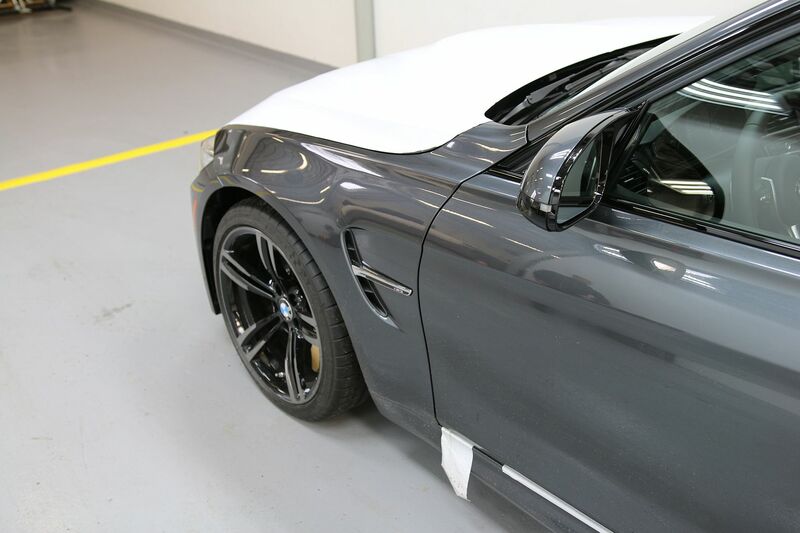 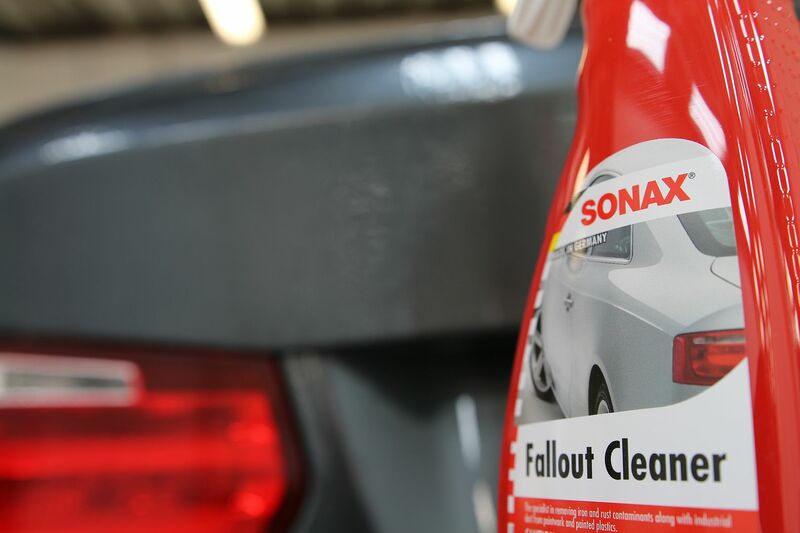 Note: If you can ask for the delivery of your new car in this form the shop handling your new car prep, coating, and/or paint protection film installation is ahead of the game. 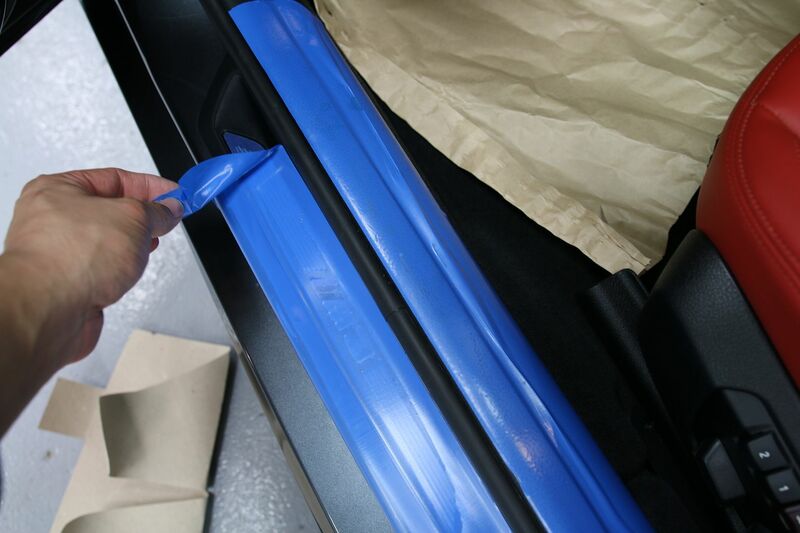 The only thing better than this situation would be that the customer would have flat bedded the car to us. 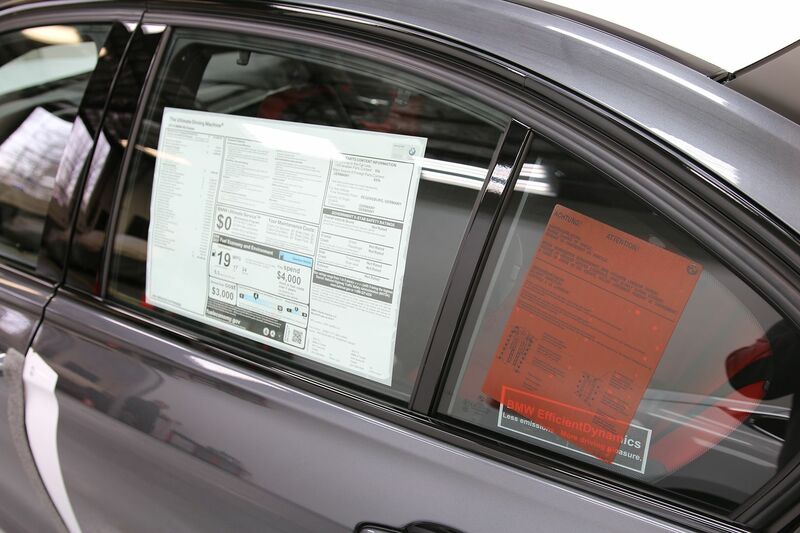 Take a look at how we feel a new car should be delivered. 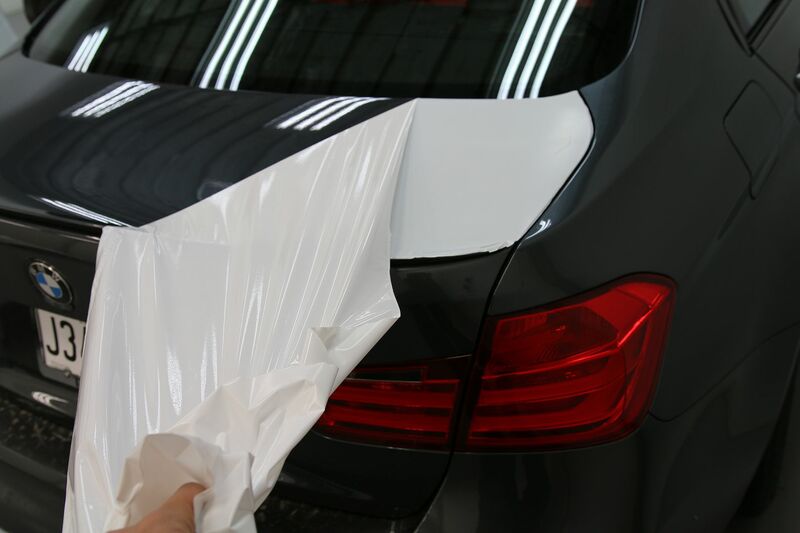 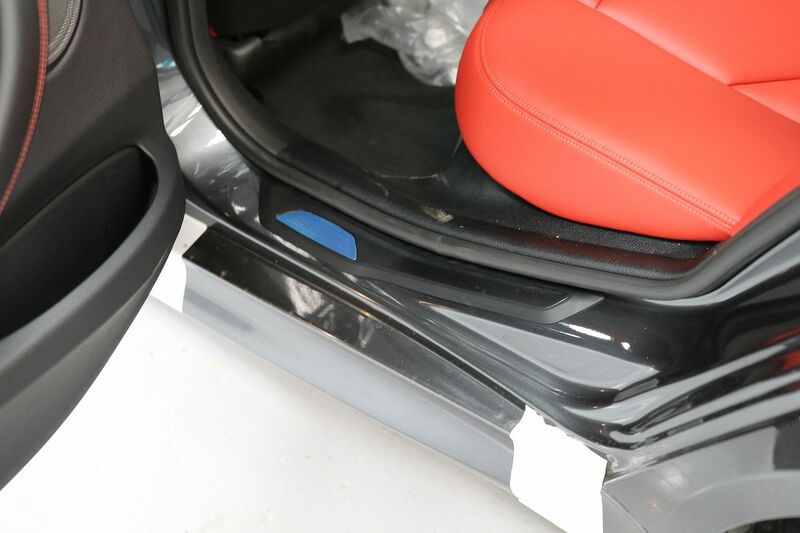 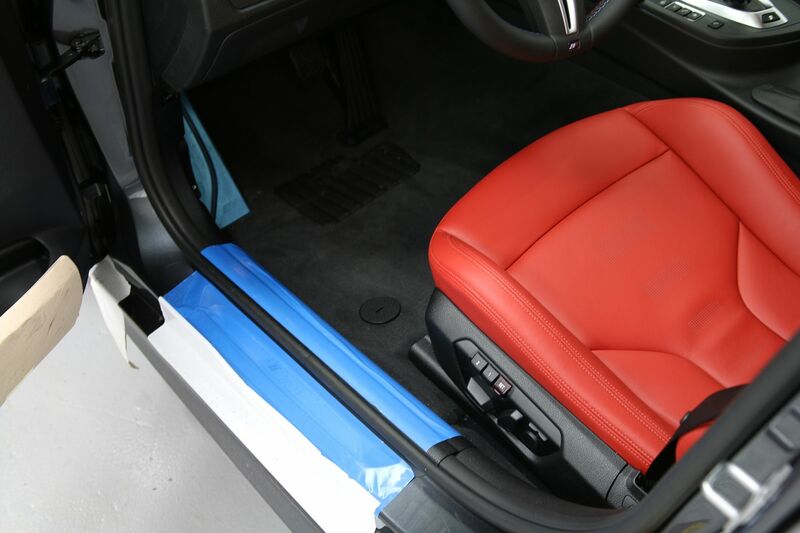 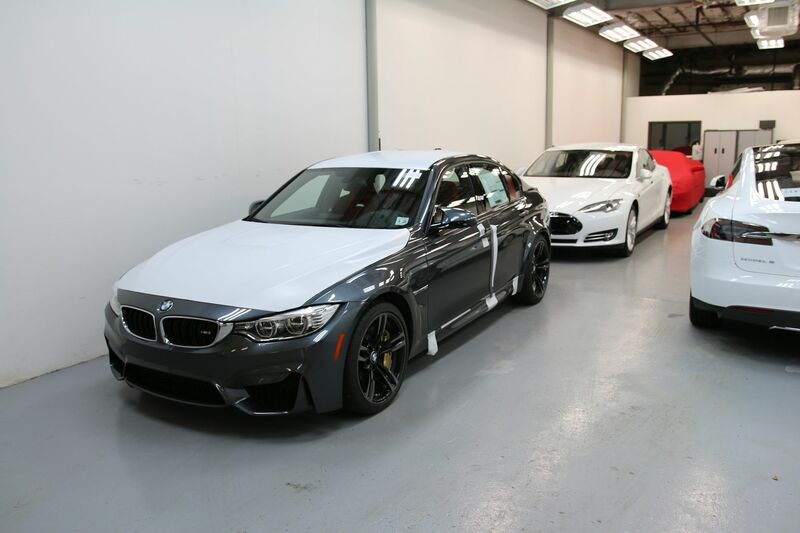 The ideal situation for us would be to have every new car delivered to us this way - all wrapped up from the factory. 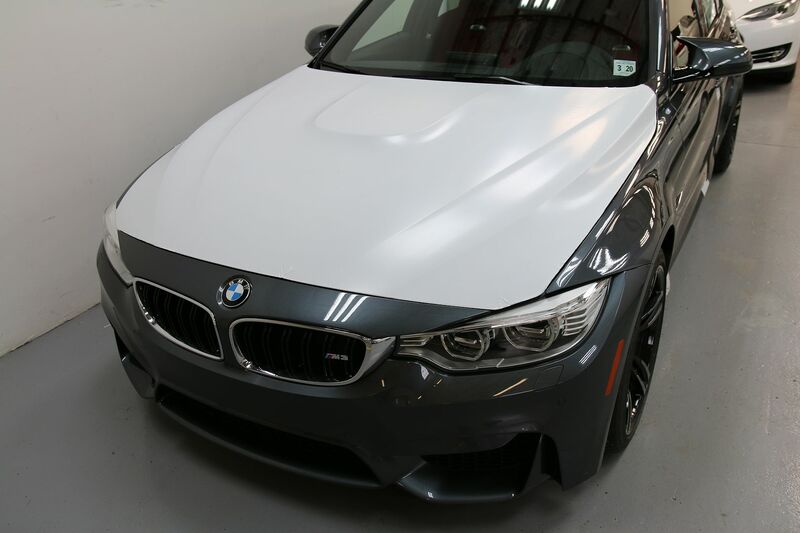 No dealer installed paint imperfections. 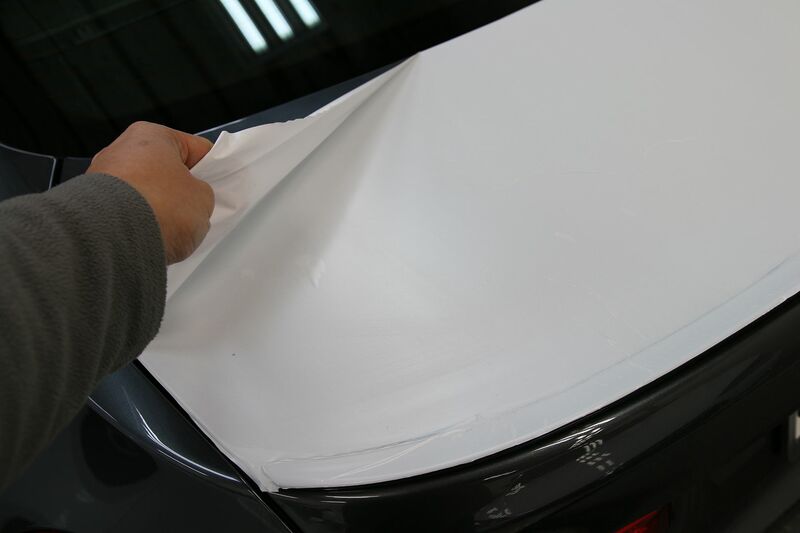 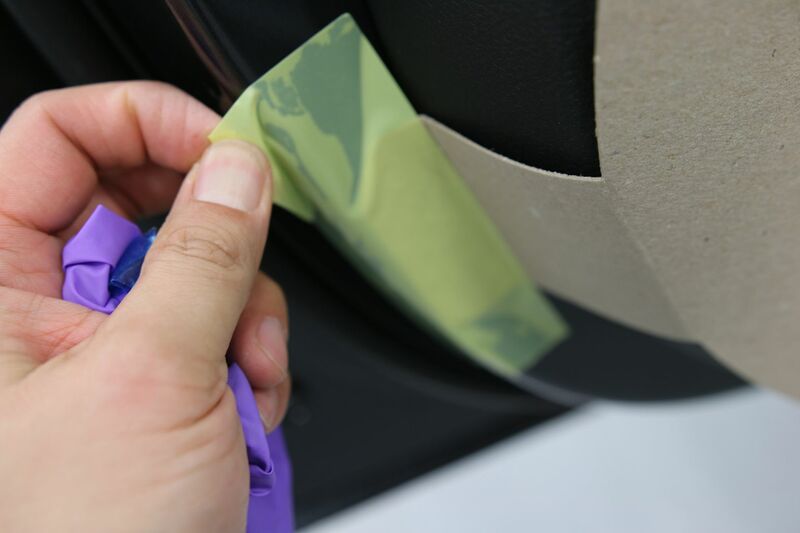 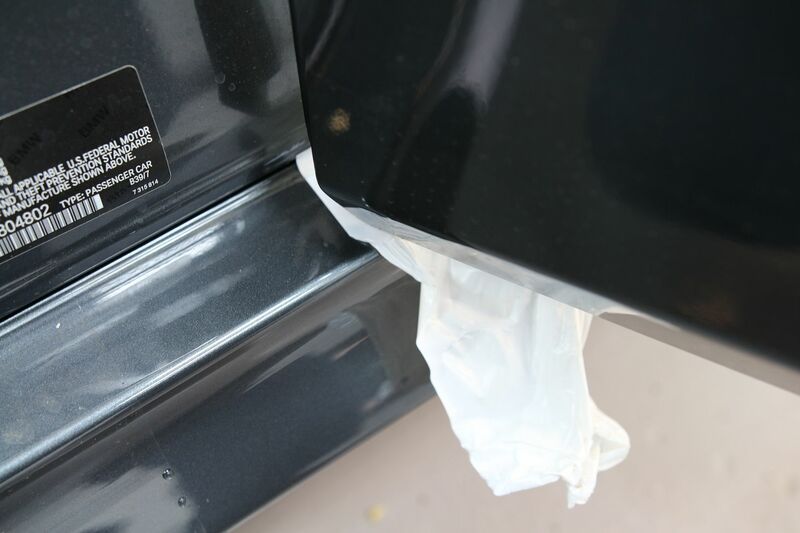 Here we go, nothing like removing the wrapper off a brand new car! 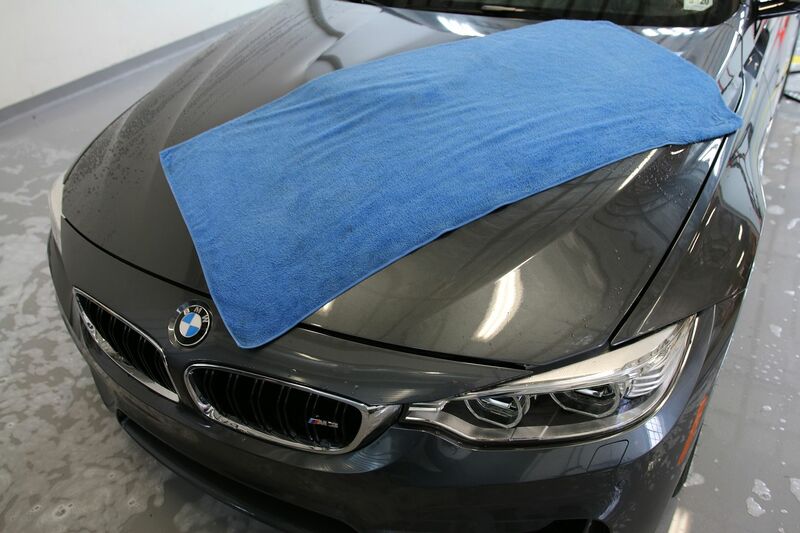 Uber Super Drying Towel soaking up all the water for a nice dry. 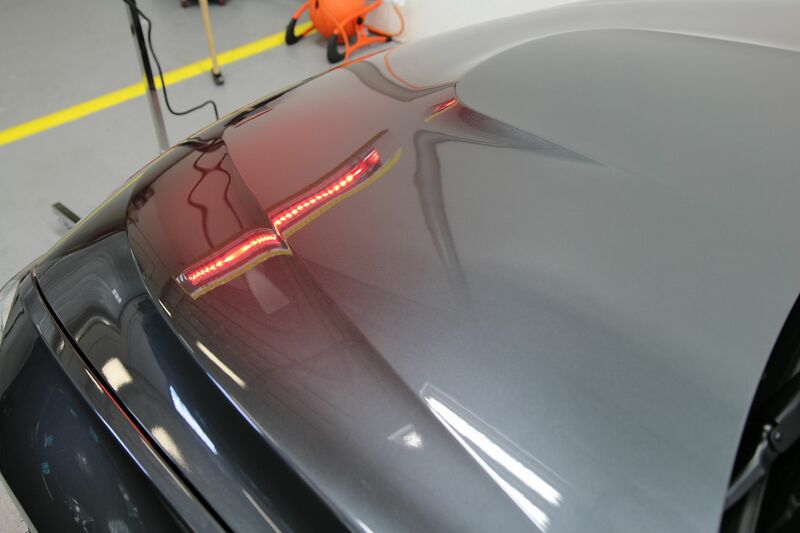 After the BC-04 is installed we cure the paint under heat lamps. 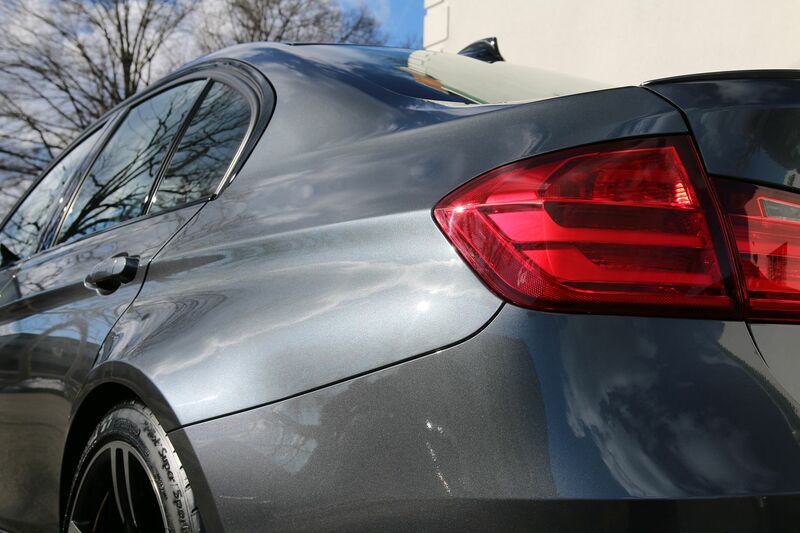 Outside shots - Hard Candy Shine! 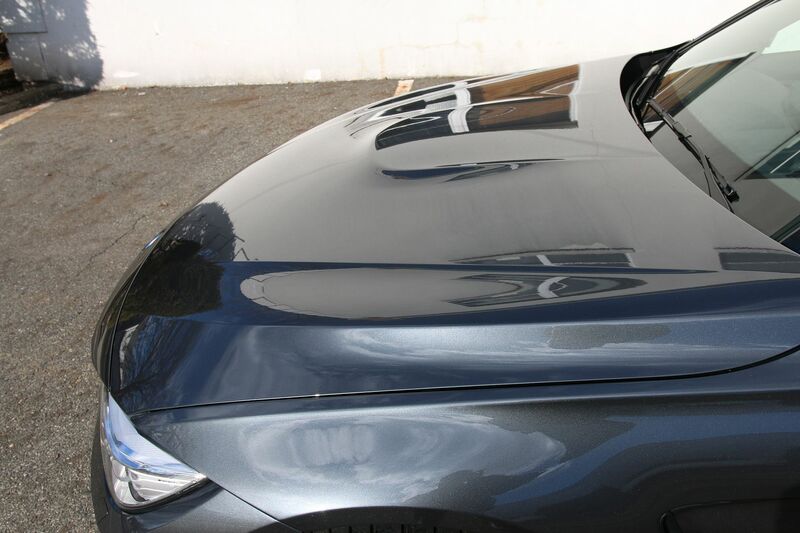 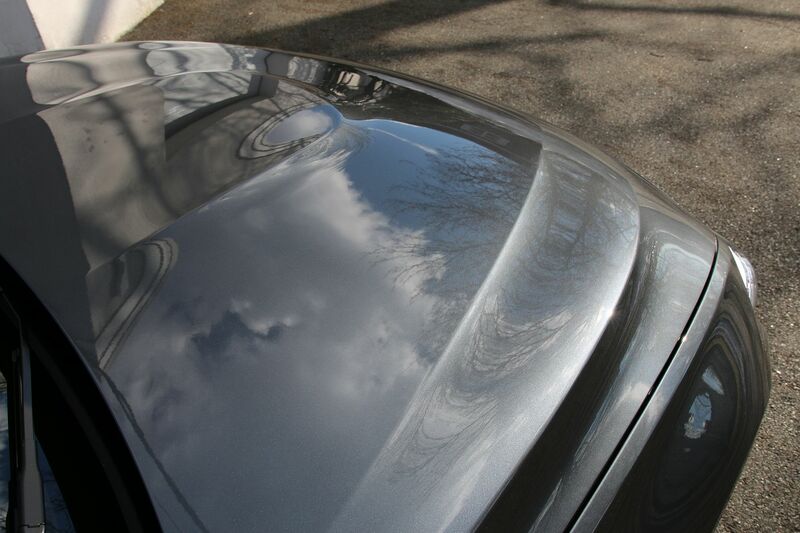 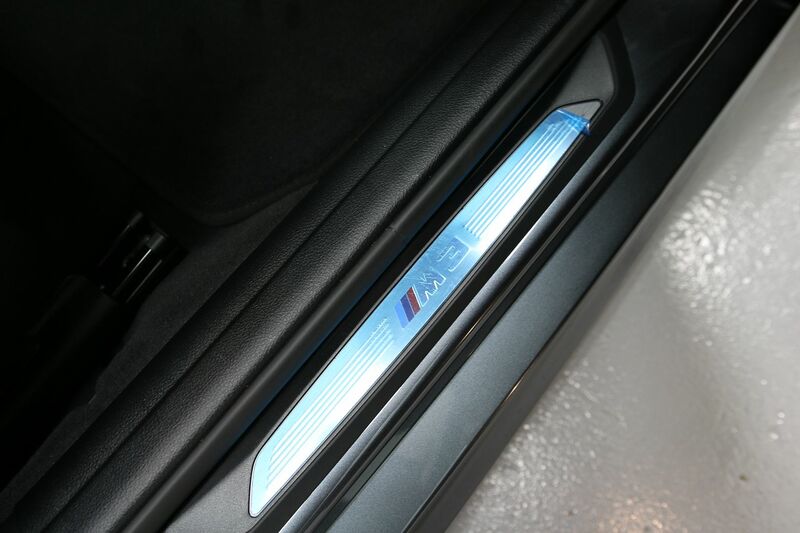 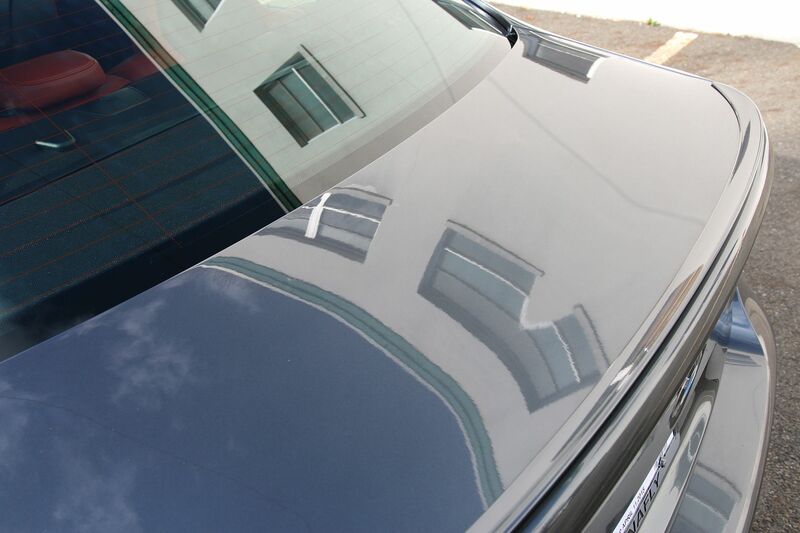 Some amazing depth, gloss, and clarity after the proper prep work and Modesta! 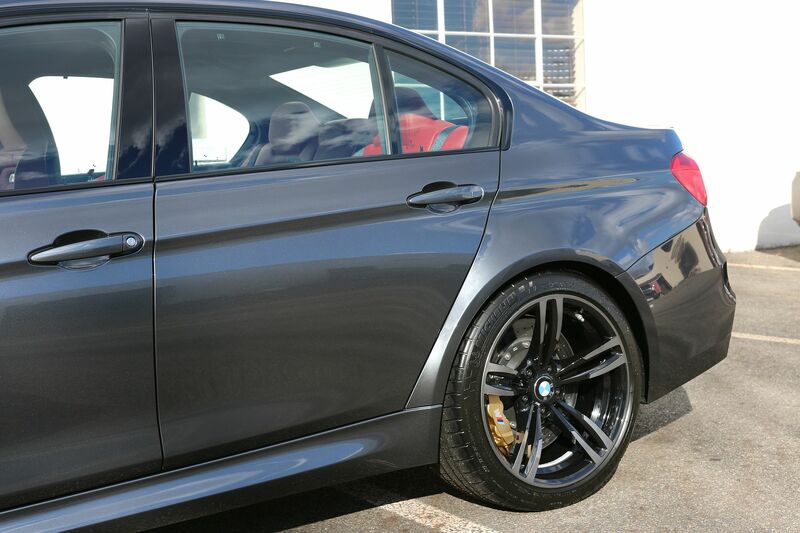 Hope you enjoyed this one as much as we did. 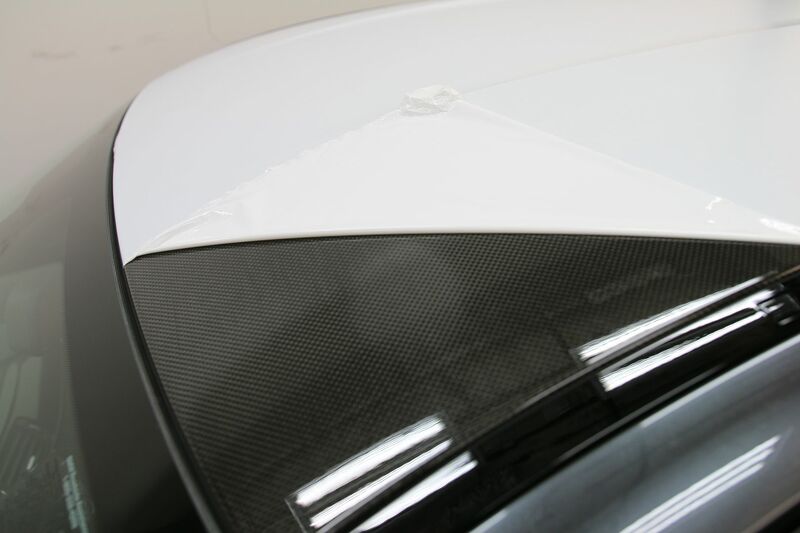 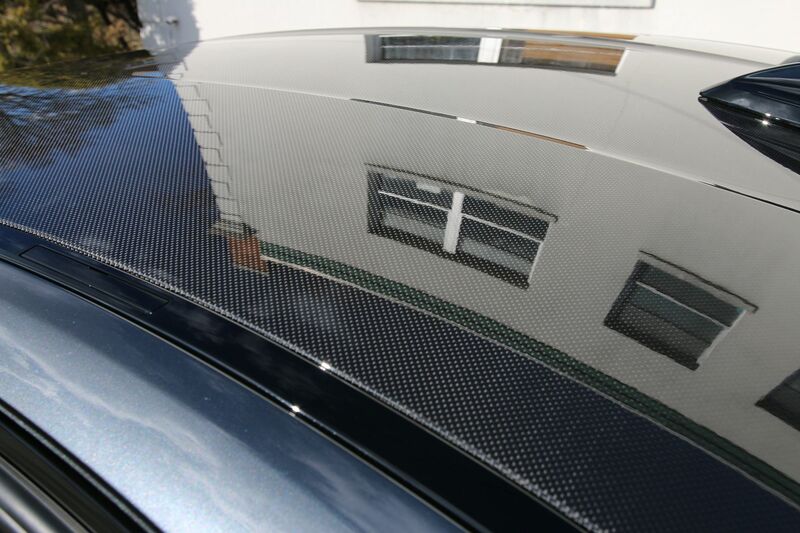 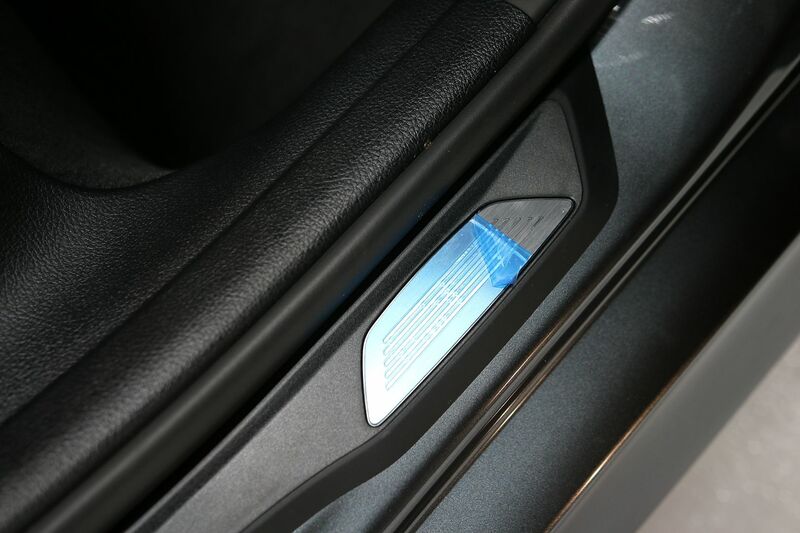 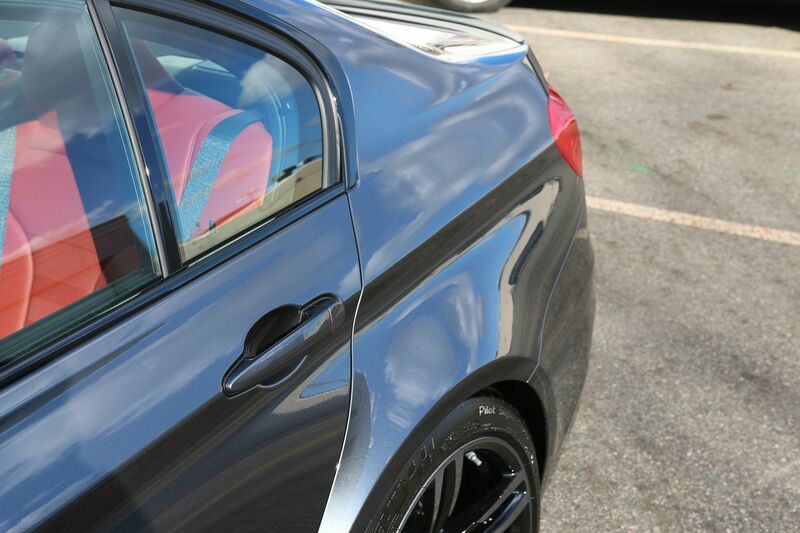 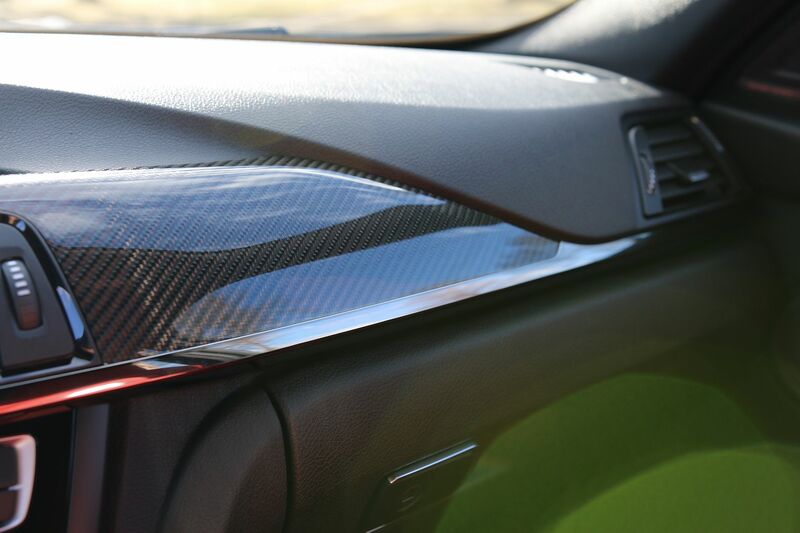 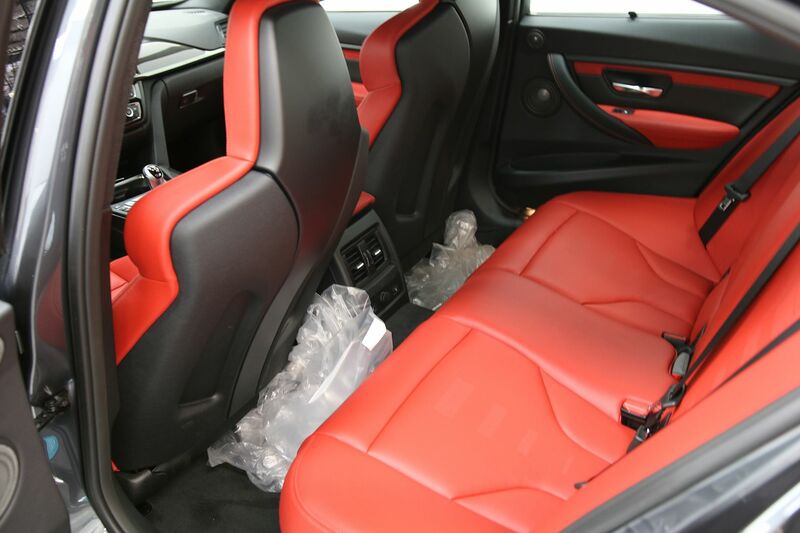 That hard candy shell that Modesta leaves after a proper install is incredible.